Delaware Wild Lands’ approach to conservation is unique, blending tradition with innovation. We leverage investments in conservation and pursue strategic initiatives that are built on more than 50 years of restoration experience and land ownership in all three of Delaware’s counties. And our conservation projects get results. 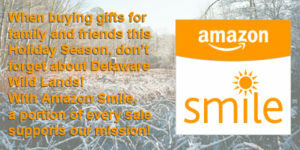 We have a small, but dedicated staff, and many neighbors and friends who contribute to our success and share our commitment to conserving and restoring the lands and waters that make Delaware beautiful.